The Capital Improvement Plan (CIP) Division is part of the Parks, Facilities, Open Space, and CIP Department. This Division leads the development and implementation of the District’s capital improvement projects. Every year, the Livermore Area Recreation and Park District adopts a three-year Capital Improvement Plan Budget. 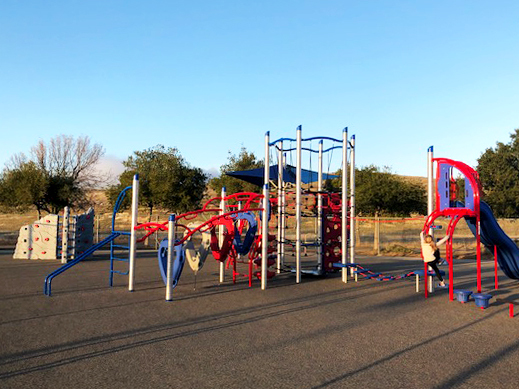 The CIP budget funds public infrastructure projects, including facility construction and renovation, playground improvements, park and trail development, and open space projects. The LARPD Board of Directors approve and prioritize the CIP budgeted projects. Projects are categorized as priority A, B or C. All Priority A projects are scheduled in the current fiscal budget year. Once a project has been completed, the Board of Directors then reviews projects on the Priority B list to determine possible placement onto the current projects list. This same process is done when reviewing projects from the Priority C, unfunded, list. 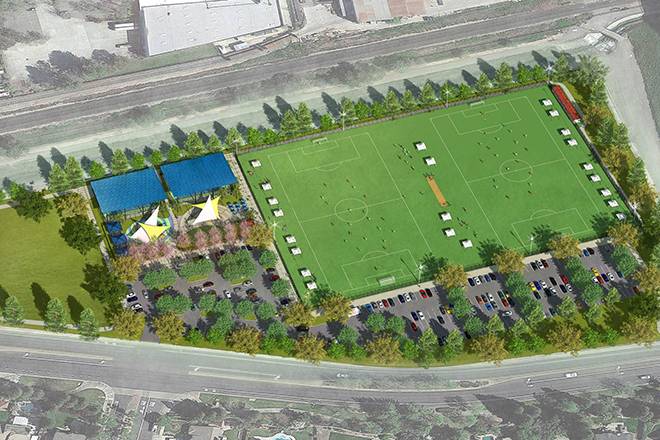 Bids and proposals are to be delivered to Livermore Area Recreation and Park District at 4444 East Avenue, Livermore California 94550 no later than the scheduled due date and time for the application to be considered. For questions, to create a Construction Service Profile or for further information on individual items, please email the CIP division at cip@larpd.org. Renovate playground with a storybook theme. Scope of work includes additional restroom facility. Revised budget was approved in March 2018. Project bid opening was on June 27, 2018 and was awarded to Goodland Landscape Construction Inc. Construction began in fall 2018. Completion anticipated early fall 2019. Install a new playground pathway in a new location. 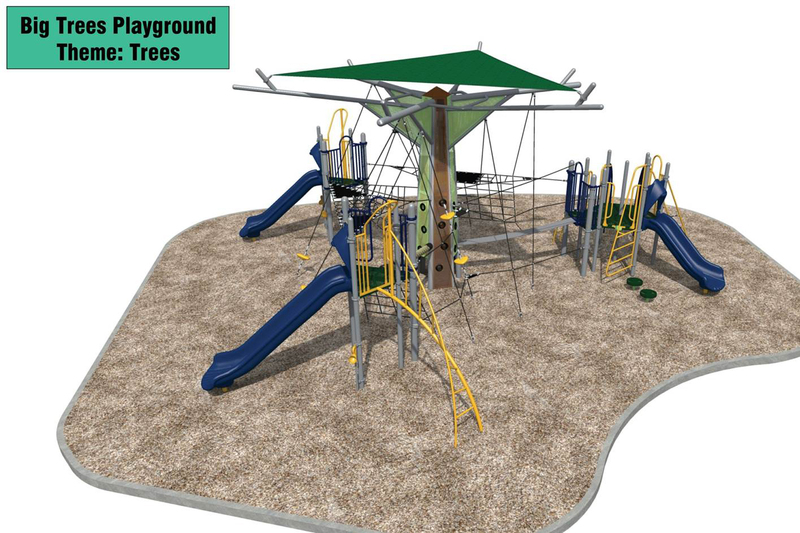 Playground will be designed in a tree theme. Revised budget was approved in March 2018. Project bid opening was on June 27, 2018, construction began in January of 2019. Anticipated completion late summer. 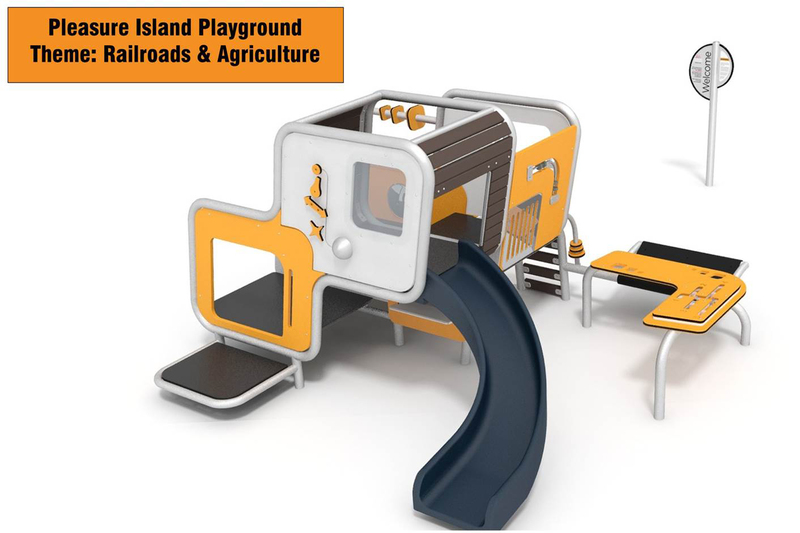 Renovate playground and surrounding areas with a railroad and agriculture theme. Revised budget was approved in March 2018. Project bid opening was on June 27, 2018, construction began in fall 2018. Anticipated completion late summer 2019. Renovate preschool playground with a nature and community play theme. Revised budget was approved in March 2018. Project bid opening is June 27, 2018, construction began in fall 2018. Estimated completion of the project is fall 2019. Tri-Valley Conservancy (TVC) is leading fundraising efforts and is responsible for project management. The design and specifications phase has been completed. The District has contributed $150,000 to the project. CEQA Public Review Period was held April 20, 2018 to May 21, 2018. TVC posted a Request for Bids on March 15, 2019. TVC will hold the bid opening on April 17, 2019 with construction tentatively scheduled to begin in summer 2019. Upgrade the Robert Livermore Community Center security and alarm system to include exterior and interior building access. O'Dell Engineering was selected to provide a design and recommendation for this project. District staff has accepted the proposal from O'Dell Engineering to complete the bid package, and has received the engineers estimate on the project. Scope of work includes civil engineering analysis and structural engineering investigation, as well as the concrete repair work that was recommended by the engineers. The project is slated to begin in summer 2019, after the annual rodeo. Currently, May Nissen Swim Center has one pump filtration system for two pools. The County Health Department has approved plans for each pool to have it's own pump and filtration system. Scope of work includes installation of two chemical controllers, two pumps, and two filtration systems. This project will be scheduled once the RLCC pool has re-opened. Scope of work includes design for renovation of pathway, par course, basketball court surface, and irrigation system. Next step is to review and approve the design proposal and cost estimate. Update: Optional preliminary plans have been submitted depicting a range of turf areas, including construction cost opinions which include proposed site furnishings, fitness equipment and irrigation components. This project involves upgrading inefficient and aging infrastructure with new energy efficient equipment. This project would result in reduced ongoing operational costs, particularly from solar panels in the Loyola parking lot, a new chiller, boilers, and HVAC equipment. The Board of Directors passed Resolution 2644, approving the Energy Efficiency Measures Project at the Robert Livermore Community Center. Install shade structures at several District parks. New shade structures have been installed at Bothwell Park, the first completed installation. Shade structure installations will continue at Robertson Park, Maitland Henry Park, Cayetano Park, Mocho Park, and Sunken Gardens Park. Installation of new ADA Restroom/Shower Facility at Camp Shelly by Romtec. The original estimate was $350,000. In May 2018, the Board of Directors approved additional amenities requested by Open Space staff which added $165,000 to the original estimate. The District has approved the quote package and specifications for the proposed restroom at Camp Shelly. The Forest Service has reviewed and approved the project. Construction was completed by October 26, 2018. Installation of the 200 amp line is scheduled for late spring 2019, this line will service the new all electric water heater. Estimated completion of the project is spring 2019. 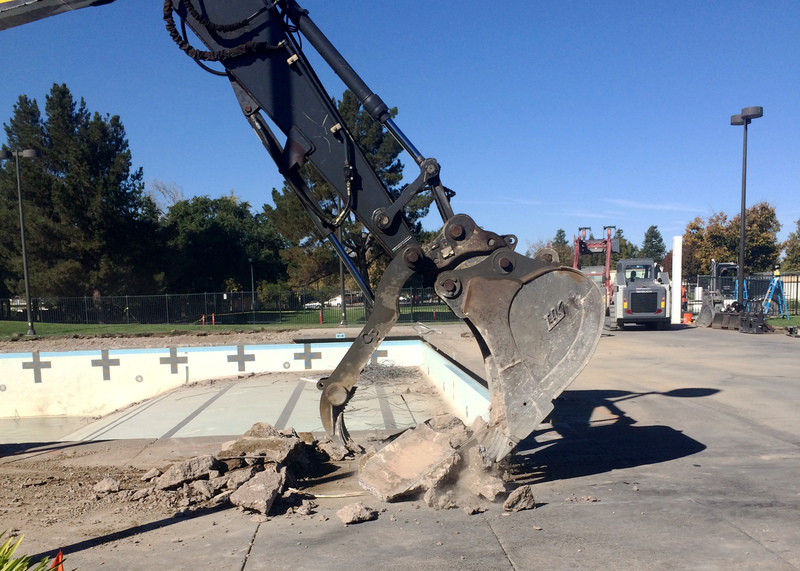 Scope of work includes replacement of the current pool deck, re-plastering and tiling of the pool, and ADA compliance measures. The plans were approved on May 15, 2018 by Alameda County Department of Health and Safety. The pool is currently closed with an anticipated re-opening date of summer 2019. During the closure, aquatic programming will be held at the May Nissen Swim Center. The Board of Directors passed Resolution 2645, accepting the bid and awarding the contract to Western Water Features, Inc. Estimated completion of the project is May 2019. 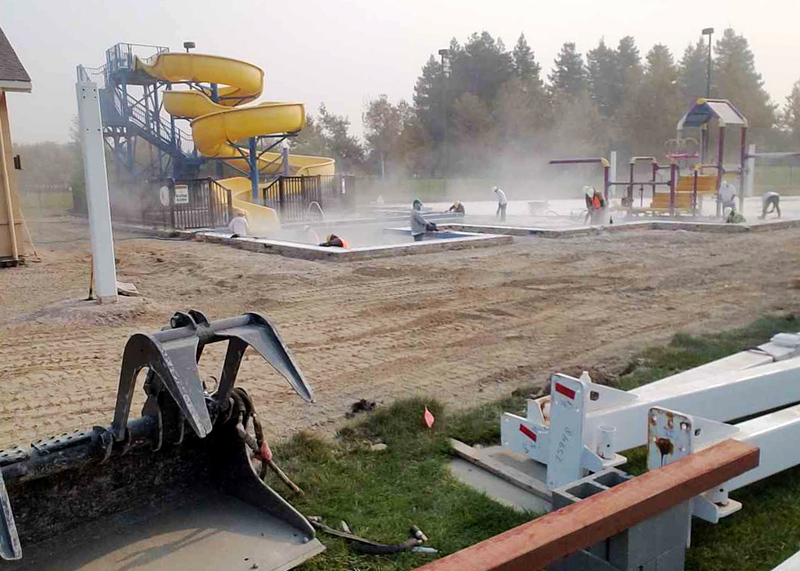 Aquatics programs at the RLCC will open on May, 15 2019. 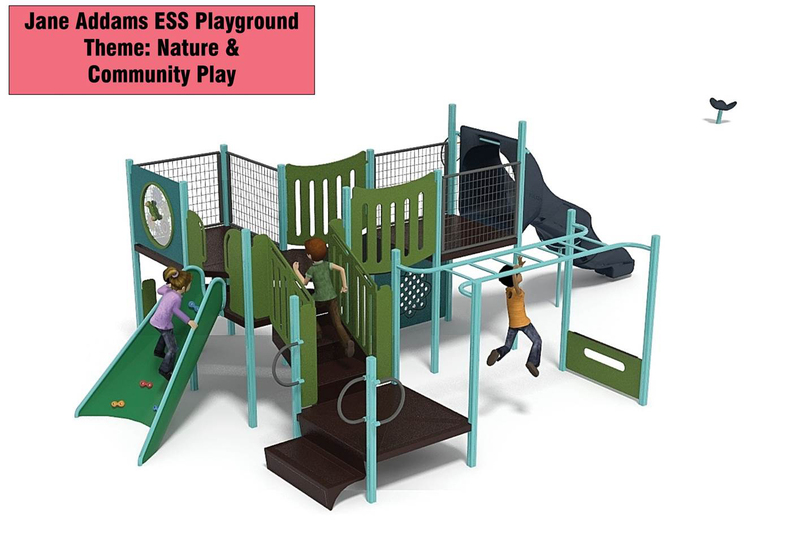 In May 2018, the Board of Directors directed staff to discontinue further progress on the "Play Trail" design concept due to the costs that substantially exceeded the budget. The General Manager was authorized to develop a new design with community input. The anticipated GameTime grant funding of $60K will not be utilized with the new design; therefore, the $60K has been shifted back to AB1600 funding. RRM Design Group developed conceptual plans and the Board of Directors approved option 3 (design 2 with added pour in place rubber) on December 12, 2018, re-establishing the $1.2 million project budget. 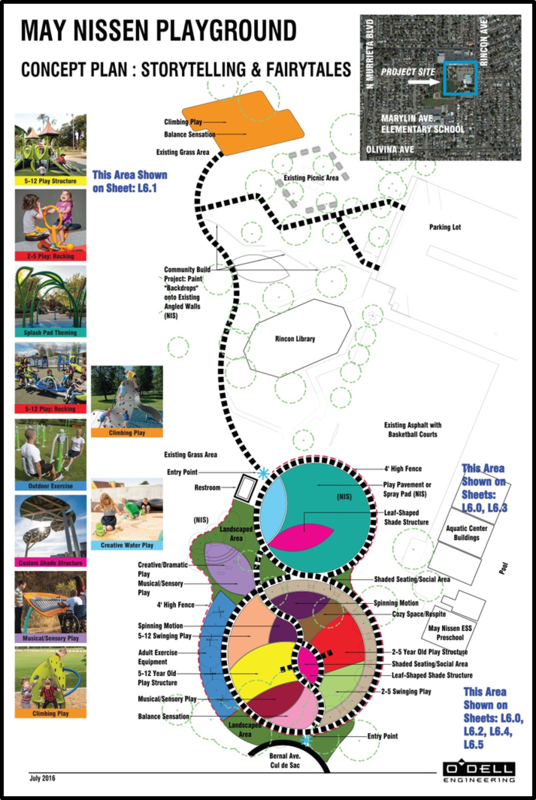 RRM Design Group, is developing the plans and specifications for the approved new playground design. 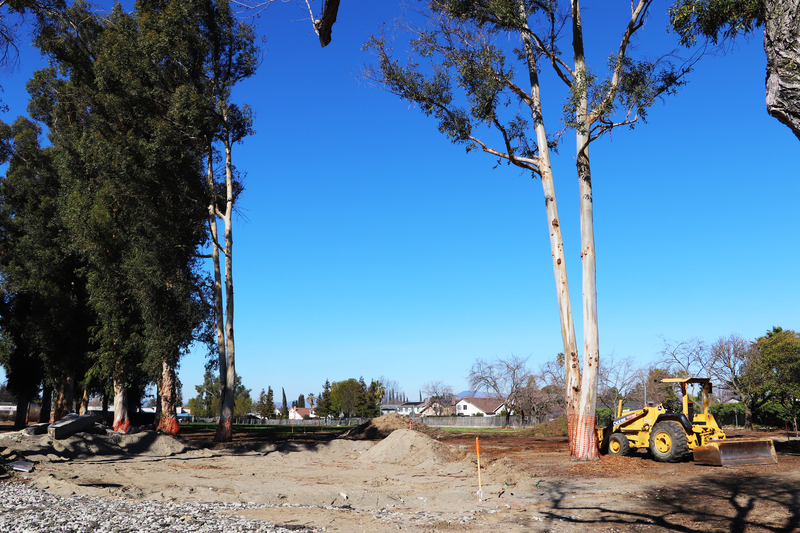 RRM Design Group has identified the need to remove two large Eucalyptus trees as a safety measure in preparation of the new playground. Drought resistant trees will be planted at appropriate park locations to mitigate the removal of these trees. There will be no fiscal impact to the Capital Improvement Plan Budget. 95% of plans and specification will be completed by May 2019. Design and implement ADA compliance measures and other improvements. Consultant has submitted proposal for services, including option for replacing aging playground equipment and ADA accessibility improvements. The scope of work includes design and work to improve accessibility, add ADA compliant restrooms and parking, update the facility for fire safety, and other necessary renovations. The Livermore Area Recreation and Park District obtained ownership of the Barn from the City of Livermore effective September 1, 2018. The District is working on developing a three year plan that would include preserving the historic nature of the facility, improve accessibility, and other design elements for facility event rentals. The proposed trail over Zone 7's Patterson Ranch property is approximately 1.5 miles long, originating from and entering back into Sycamore Grove Park. Environmental consulting firm, WRA, is conducted an environmental review that was posted in April 2019. Funding is for permits and CEQA. Volunteers for Outdoor California (V-O-Cal) may build the single track trail. The original budget was increased to accommodate the installation of gates. Four (4) of the five (5) roofs have been replaced, and a new alarm system has been installed. The main house roof is slated for replacement in 2020 after the rental season. Plans to repair the porch have been approved by the Historic Preservation Commission and the contractor has been given notice to proceed. 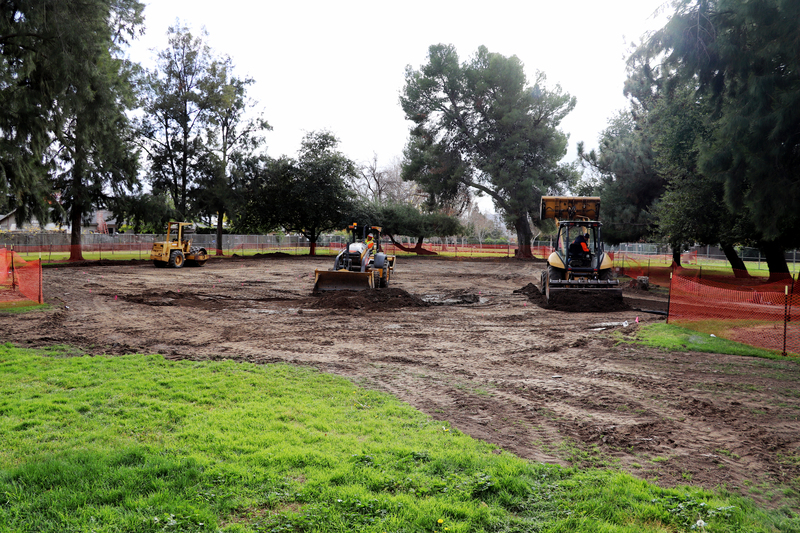 Consultant, RRM Design Group, was hired to complete a master plan for Bill Payne Park. Stakeholder and public meetings were held January through April 2018, and a completed master plan was approved by the Board on December 12, 2018. 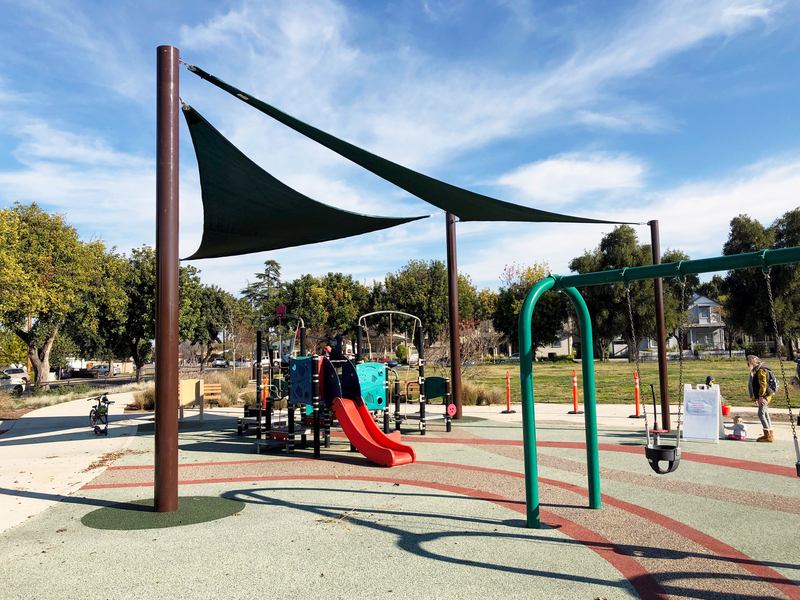 The renovations to Altamont Creek Park Playground have been completed and the park is now open.The completed playground has new rubber surfacing, several climbing structures and a rope structure. 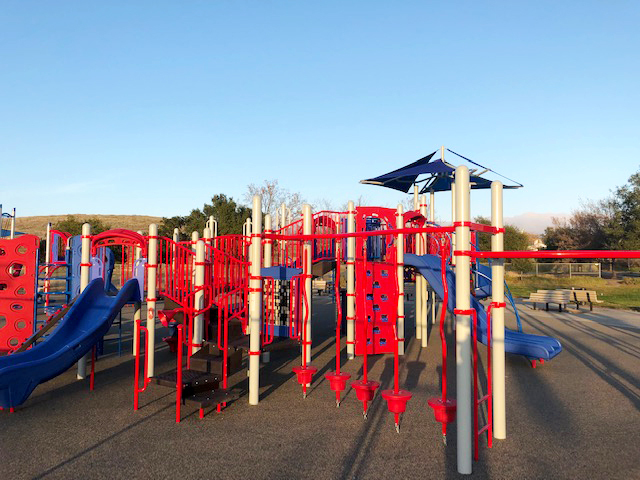 The Livermore Valley Joint Unified School District completed the project in early January of 2019.This project to replace the playground at Altamont Creek Park was joint-funded with the Livermore Valley Joint Unified School District. The project included the installation of synthetic turf between the full-sized fields, installing Hybrid Bermuda grass sod to the outer spectator areas of fields one and two, fencing off the area around the electrical boxes, and grading and drainage restoration. 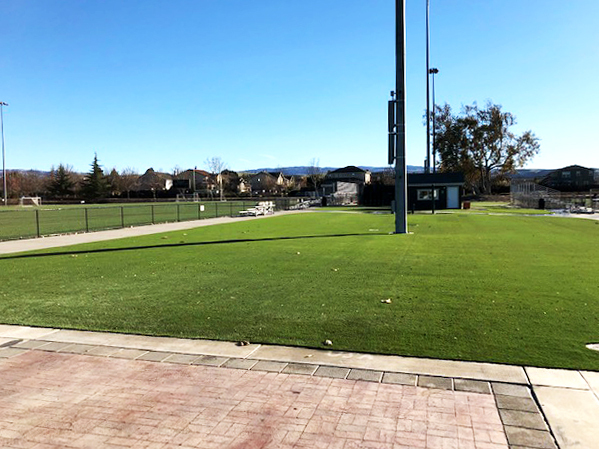 The district worked with Bastion Construction Services to complete the Synthetic Turf installation in early January 2019. 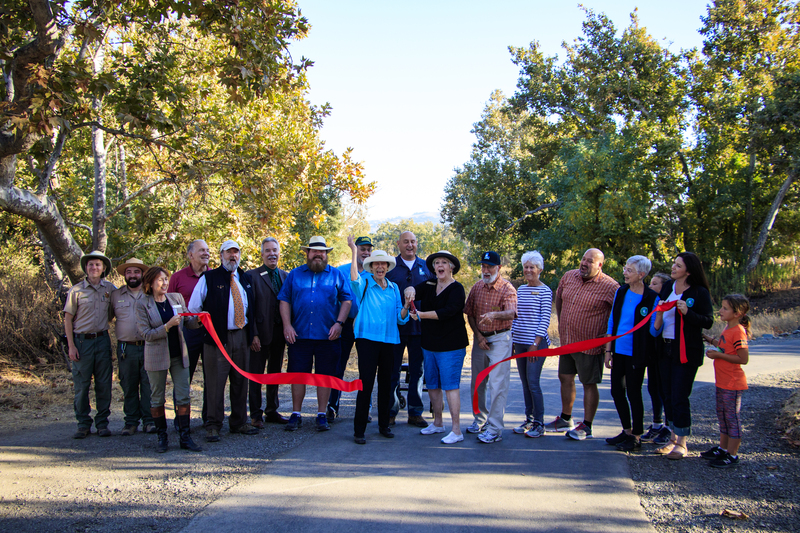 The Sycamore Grove Park Arroyo Del Valle Regional Trail Renovation is a 2.5 mile trail renovation that began in the summer of 2018. The renovations have been completed in partnership with the East Bay Regional Park District. The East Bay Regional Park District provided $500,000 in funding, $700,000 was provided from reserves approved by Livermore Area Recreation and Park District Board of Directors with an additional $75,000 authorized for project management expenses.Grade Tech was awarded the bid.Renovations included re-paving of the 2.5 mile trail with information markers painted along the path, rock walls and french drains built along the trail and hydro-seeding over construction areas. 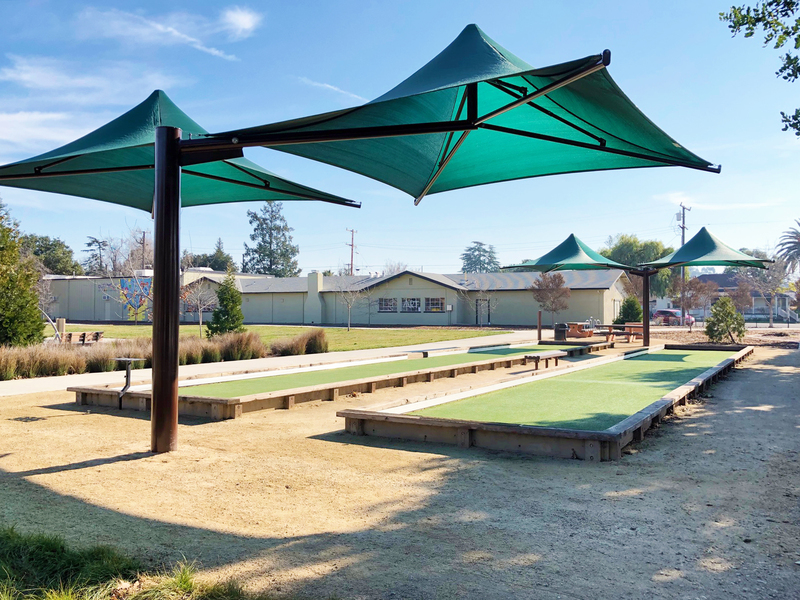 The city of Livermore initiated the process to convert the 85-acre property, formerly a nine-hole golf course, into an open space. The property was locked into the existing open space designation by voter approval of Measure FF in the 2016 general election, which requires a vote of the people for any future change to the land use designation. In 2016, the LARPD contracted with RRM Design Group to engage the community in the development of a conceptual plan for the open space. Over the course of the community outreach process, a total of five alternative designs were presented at a series of well-attended community workshops. RRM presented the Final Concept Plan to the Board of Directors October 25,2017. The Board unanimously voted to endorse the Springtown Open space conceptual Plan and referred it to the Livermore City Council for their consideration.